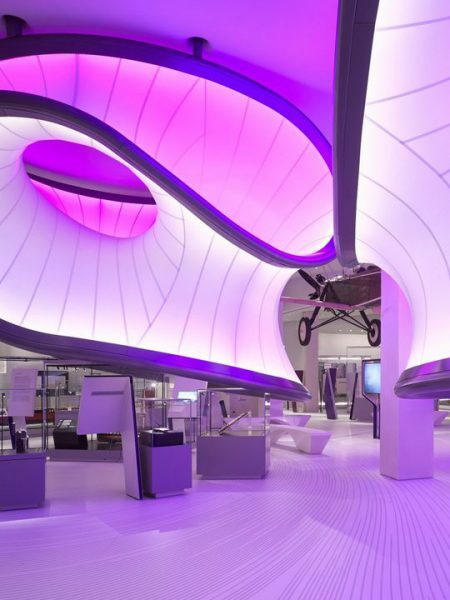 The Science Museum in London has also unveiled its new mathematics gallery, which was designed by Dame Zaha. 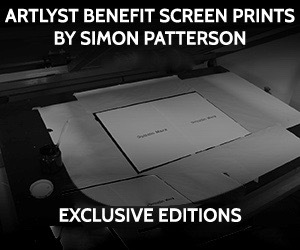 This is the first of her projects to open in the UK since her death in March 2016. Ms. Hadid was a mathematics graduate, which explains why the first thing you encounter when walking into the Science Museum’s new Maths gallery is a 1929 Handley Page bi-plane suspended from the ceiling. This was to be Dame Zaha’s design touchstone, the airflow from its wings dictating a dynamic design of sweeping curves and a huge sculptural form that frames the gallery’s central space. The Serpentine presentation, first conceived with Hadid herself, reveals her as an artist with drawing at the very heart of her work and includes the architect’s calligraphic drawings and rarely seen private notebooks with sketches that reveal her complex thoughts about architectural forms and relationships. The show focuses on Hadid’s early works before her first building was erected in 1993 (the Vitra Fire Station in Germany), presenting paintings and drawings from the 1970s to the early 1990s. The exhibition takes place at the Serpentine Sackler Gallery, renovated and extended by Zaha Hadid Architects in 2013. A select number of institutions and museums across the world have joined in this timely homage to Zaha Hadid. Drawing and painting were fundamental to Hadid’s practice. Influenced by Malevich, Tatlin and Rodchenko, she used calligraphic drawings as the main method for visualising her architectural ideas. For Hadid, painting was a design tool, and abstraction an investigative structure for imagining architecture and its relationship to the world we live in. These works on paper and canvas unravel an architecture that Hadid was determined to realise in built structures, one that is seen in the characteristic lightness and weightlessness of her buildings. Conceived as Hadid’s manifesto of a utopian world, the show reveals her all-encompassing vision for arranging space and interpreting realities. Technology and innovation have always been central to the work of Zaha Hadid Architects, and many of Hadid’s paintings prefigure the potential of digital processes and the software required to render virtual reality. Connecting directly with the individual paintings in this exhibition, four experimental virtual reality experiences have been specially developed in collaboration with Google Arts & Culture. These in-gallery experiences offer a dynamic and immersive insight into Hadid’s architectural vision. The Serpentine has had a long relationship with Hadid, which begun in 1996 when she joined as a Trustee of the Serpentine Gallery. Her first structure in London was the inaugural Serpentine Pavilion in 2000. It was followed by a light installation, Lilas, in 2007. In 2013, she completed the extension for the Serpentine Sackler Gallery, one of Zaha Hadid Architects’ first permanent buildings in central London. She also participated in the Serpentine’s Interview Marathon in 2006 and 89Plus Marathon in 2013. The exhibition coincides with the opening of Zaha Hadid Architects’ much anticipated Mathematics: The Winton Gallery at the Science Museum, which explores how mathematicians, their tools, and ideas have helped to shape the modern world.